Dual Wielding: LFG Edition— sometimes a topic is just too big for a couple of bloggers on their own. That’s when we send out the call, and see who steps up to help us with the challenge. This week, in the last edition of Dual Wielding, we’re tackling the question, “what can players do to foster community”? Normally, i’d point to the Wil Wheaton rule of internet usage: don’t be a jerk. But if Game of Thrones showed us something, it was that you’ll be a jerk to someone, somewhere. Even in Themepark MMORPGs, there’s the possibility that your actions are considered impolite towards somebody else. 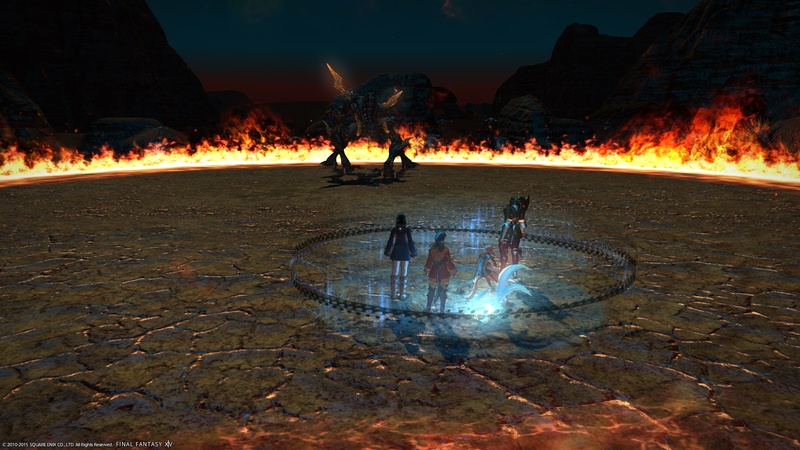 Take cutscenes in LFG-dungeon groups as an example: while i, personally, think the polite thing to do is to let everyone go on their own pace, watching cutscenes if they like, i’ve heard people complain about this behaviour, stating that it’s a waste of other people’s time. While i personally think it’s best to go into a dungeon unprepared to make encounters surprising, challenging and a riddle to solve, in the general population it is considered very impolite to queue for an LFG-dungeon without at least reading up on boss mechanics. 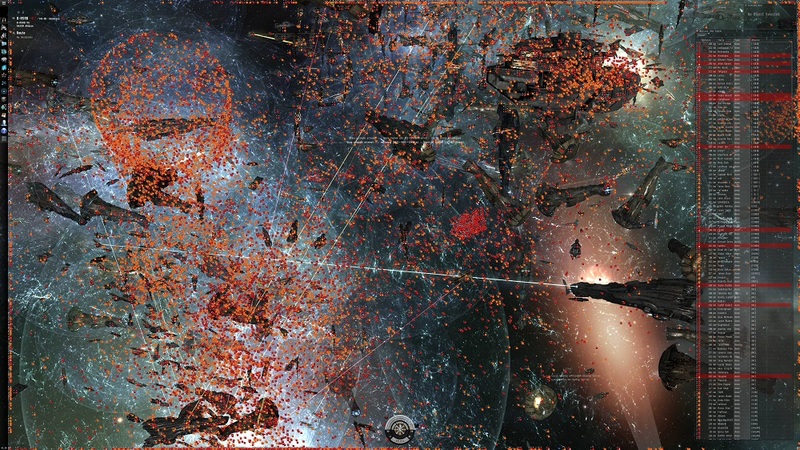 When you go further into sandboxes like EVE, it becomes almost impossible to play that game without having ingame-conflict with other players. So in the end, what it comes down to is this: play by the rules of your preferred game(s), remember and follow the “code of conduct” of that game’s community, and whatever you do: don’t take the ingame fights to the human sitting behind the character. Deriving your own fun out of ruining someone else’s experience isn’t good behaviour. There’s absolutely no reason why ingame-enemies can’t be out-of-game friends. 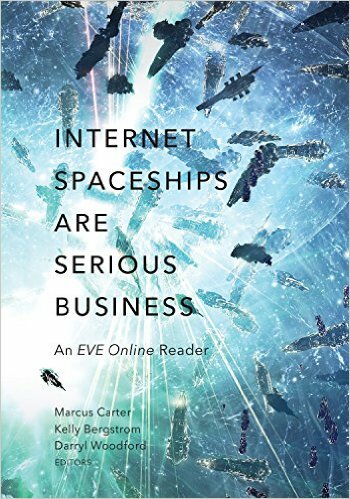 While reading “Empires of EVE”, i was surprised that in the early days, there was a “honorable” way of fighting wars. The author of the book compared it to duelling; the fighting parties were expected to set up a fight, gather at the location, fight it out and reach consent on who won. With time and players more and more willing to do what it took to win wars, that faded away. Now EVE is a game with some tough, almost non-existent rules, and pirates/scammers and whatever type of player you’d normally put on the “Dark Side” will be able to find like-minded players who don’t see them as jerks, but as fun to be around. Whether you are polite or impolite, a friendly or competitive player, behaviour alone won’t help you in fostering your game’s, or even your own community. The easiest thing to do to foster community is to find likeminded players. It doesn’t matter if what you like is dressing up, building your dreamhouse, running dungeons or mining rocks in EVE, there’ll be other players enjoying these activities, as well. 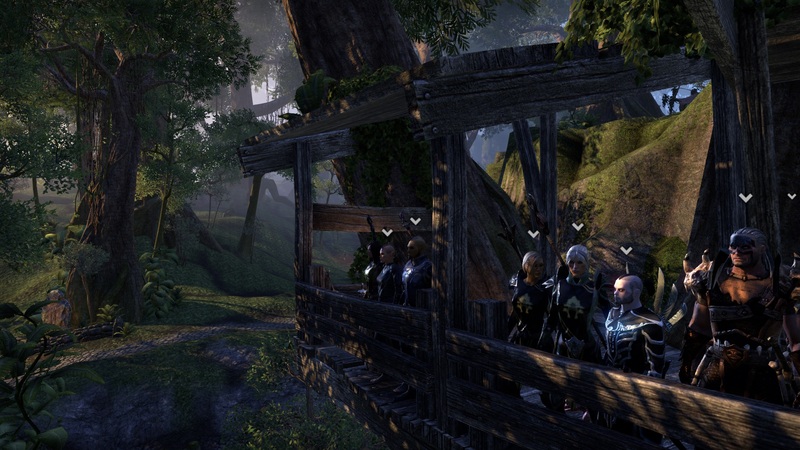 Find a guild that fits your preferred playstyle and personality. Chances are that there is one guild out there that is the perfect fit for you. I can remember times when my friendlist contained more players than the guild i was in, but nowadays that’s not the case anymore. It has become quite difficult to form lasting relationships in MMOs, and in fact, i do blame the dungeon finder tool for that. A well-organized friendlist used to be our LFG tool. In WoW, i had a couple of tanks and healers on my list and would ping them when we were in a group that didn’t fill the role. While Dungeon Finders are convenient, they removed some social interaction. If you add in cross-server functionality, they even discourage you from creating bonds to the people who are sharing the dungeon running experience with you…as you’ll be unable to stay in contact. 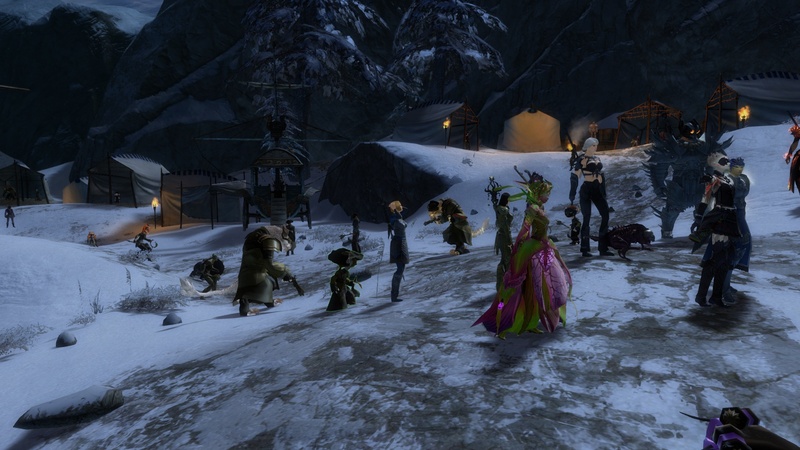 So finding a guild is essential if you want to enjoy MMORPG with a sense of community. And if you’ve found one that seemed to be a good fit but it turns out that it wasn’t, leave the guild in a polite way. Good guild managers will want to know why you left, but will understand if you state your reasons. If you can’t find a good fit in existing guilds, you should consider creating your own, to find likeminded players and get yourself some company. That’s what i did and i have to say, for now, it seems to work out perfectly. If you found a guild, it’s time to get involved. The easiest thing to do is to participate in what your guild offers- be it an active guild- or voice chat, forums or whatever. As a guild manager myself i can also tell you that whatever feedback you’re offering is welcome, as long as it is constructive. The most frustrating thing i experienced as a guild leader over the years is when you put a lot of thought into something, put it out there and there’s nothing flowing back. Lack of interest is not a problem- if i make a suggestion and nobody’s interested in that particular activity or policy, that’s fine- if it is expressed. Taking part in discussions, knowing what your guild is up to by reading the forums or talking with guildies will take you a long way into building up your own private community. If you find something wrong in your guild, consider making suggestions for improvement before leaving. Now, this doesn’t make sense in all scenarios- if your guild is a big, but loose circle of players, it won’t make sense to suggest transforming the guild into a small, tight-knit community. If your guild is casual but you’d like to seriously get into raiding, it’s very possible that it can’t be done in that guild. And lastly, if you’re new, you shouldn’t be pushing change too much- if you feel so inclined during the first months, it’s probably because the guild is not a good fit for you. Don’t worry, just continue looking- there’ll be a guild for you. At this point, most players will feel content with the community and connections they’ve built up for themselves, and that’s fine. If you still want to do more, you could consider taking some responsibility in your guild- create events, activities, dungeon groups or whatever. All of the things above help you in building your own, private community around yourself- but what if you’d like to get more involved in your server’s, game’s or genre’s community? You could offer help via general chat- not actively, but you know how oftentimes, it’s the same questions asked again and again in general chat? Did you see the trend that what is answered willingly and politely in the first days of a game’s life gets rougher answers as time passes? If you see someone asking a basic questions that’s quick to answer, simply provide the answer. 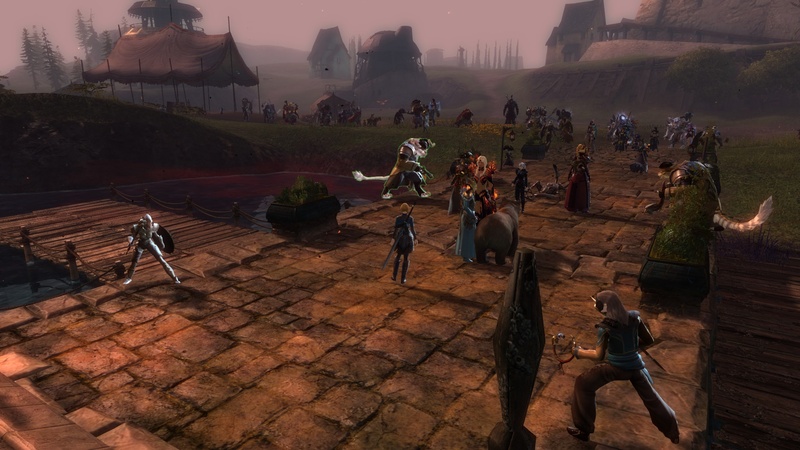 Depending on your server and game, there might be community events spouting up- i know that The Secret World and Lord of the Rings Online offer much in this regard- look them up and go there. Does the game of your choice have game-specific podcasts and blogs? Look them up and read or listen to them. Even when simply doing that, it will make you feel and be more connected to your game’s community. Genre-related, i’ve found the same to be true while browsing the genre’s websites like Massively Overpowered, MMORPG.com and mmogames.com – reading those sites and maybe commenting from time to time builds up your ties to the wider community. There are additional ways to get connected, and their number is climbing. Social networks do their part- the gaming community is quite active on Twitter, for instance. Then, there are gamer specific networks such as Anook and Discord. 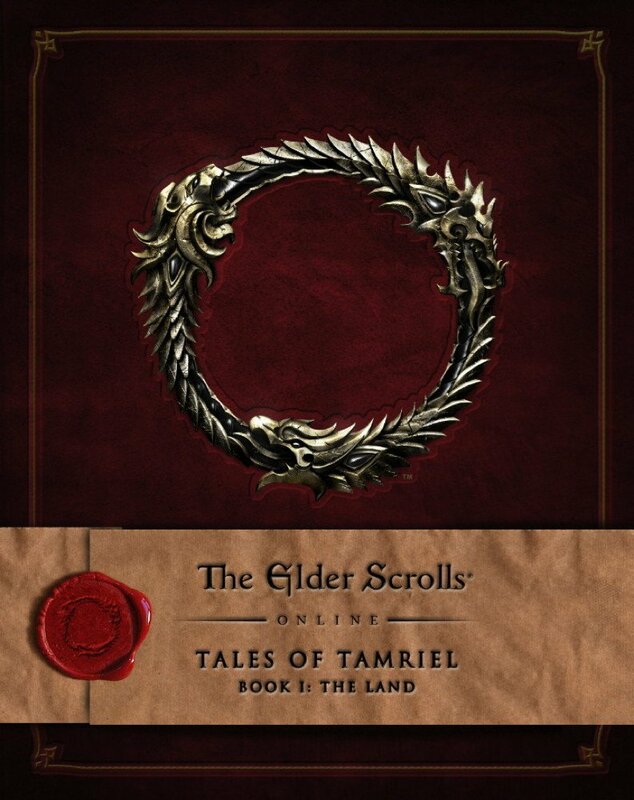 Just take a look if your server/game/podcast has a presence there- for instance, i’m a member in three Discord groups- one for the “Tales of Tamriel” podcast, one for gaming bloggers and one for my small guild. 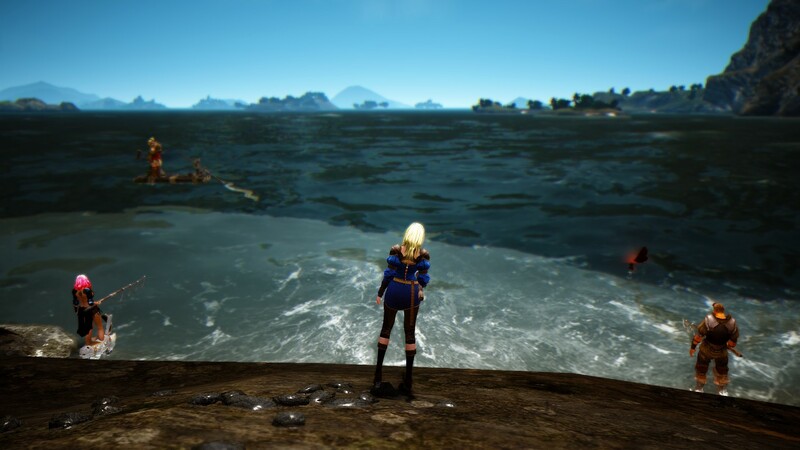 I’ve also found blogging to be a great way to fostering community- Dual Wielding is just one example for this: Ironweakness and i thought it would be fun to do something like this and we’ve also been joined by others in this adventure. It did create some private connections between Ironweakness and myself, going so far as to say that if i were to travel to the US, i’d like to meet up. 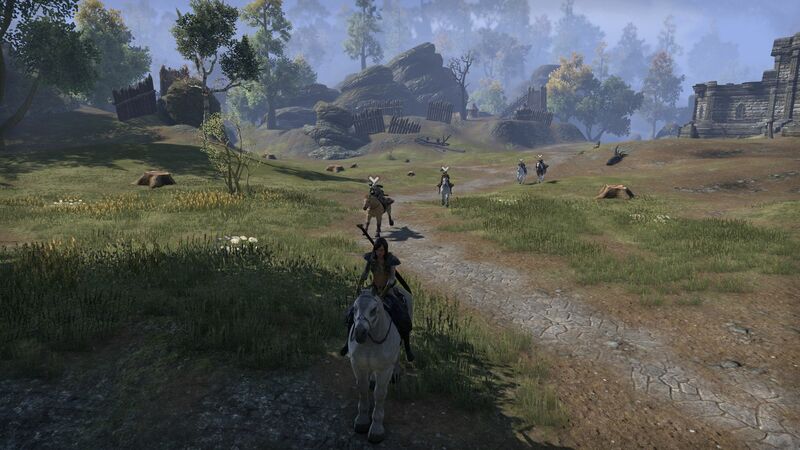 Just like i did in the last edition, i think taking the community out of game and maybe bordering real life is a great way for players to foster community- i mean, what would Elder Scrolls Online be without Tamriel Foundry, World of Warcraft without Alternative Chat / Blizzard Watch and so on? 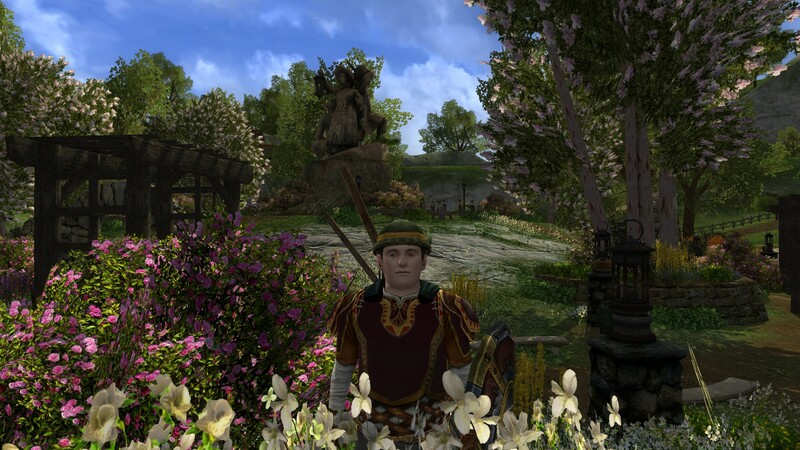 So i’d like to thank everyone who’s helping in making MMORPGs more than simple games- bloggers, of course (too many to call names), the podcasts i listen to: Tales of Tamriel, Crossing Zebras, Massively Speaking- as well as those i don’t listen to regularly (too many to call names), guild leaders for taking time to create communities within their games and guild members for being willing to connect to others. They all contribute to the feeling of community we have in the genre- the one thing that really sets the genre apart. I’m sad to say, this will be it for Dual Wielding, at least for now. 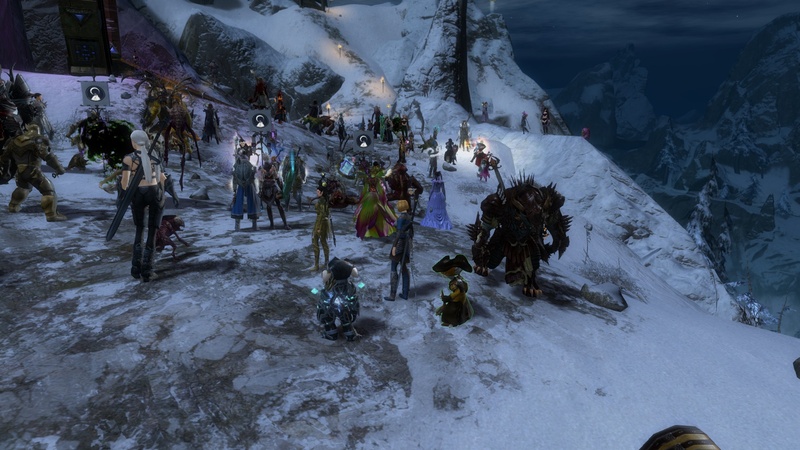 Ironweakness chose to take a break from MMORPGs and blogging, and i wish him all the best. Maybe he’ll return to the genre or blogging, maybe not, we’ll see. I’ll take some time to think about other ways to continue the fun experience of blogging with others, but whatever i’ll come up with, it won’t be Dual Wielding- it can’t be, without Ironweakness. I’m going to miss it, as well as reading Ironweakness’ blog or seeing him active on Twitter, but of course he has my full support. I’d like to thank Justin from Massively Overpowered for featuring this thing on their site more than once, and i’d like to thank Aywren, Syl and Wolfyseyes for joining us in the LFG edition- it was huge fun and an honour. Most of all, i’d like to thank Ironweakness for this coop-blogging-experience, coming up with topics, his opinions and the great times we had doing this. Even after his last break when he didn’t want to continue to blog in regular fashion, he was still willing to rez Dual Wielding. So thanks for the great times, Weakness!